Small is beautiful. 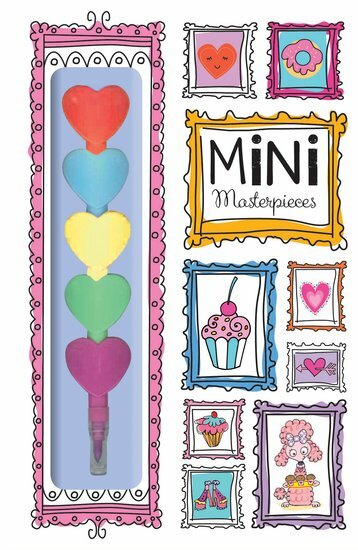 Make tiny artworks that beg to be admired with these mini pads and pens. Forget the Big Draw. This is the small draw. It’s time to make dinky pictures that test your skills and amaze your buddies. This mini file contains two tiny drawing pads, one slightly larger doodle pad, and an itty-bitty colouring pad. (Are you skilled enough not to cross the lines?) Plus an interlocking rainbow pen that splits into five colours, and a cute sticker booklet. Small in size. Big on fun.